When a lot of people start fishing they think it’s a sport or hobby that simply involves picking up a bag of frozen prawns and a Coke from the local servo, heading down to the closest stretch of water, throwing in a line and waiting for the fish to hook themselves. This entry was posted in fishing/ outdoor sport on December 1, 2015 by mimin. A river is defined as a naturally flowing watercourse that is unidirectional and in a continuous state of physical change over time. Due to the nature of rivers, streams and creeks, the strategies required to fish successfully within them can be more technical taking into account current and flow rates, both overall and within certain areas of the river e.g. banks versus river beds, snags are more likely because of fallen trees and logs and because the current is constantly moving. This means more accuracy in casting is required but minor modifications are always required depending on the conditions at the time. This entry was posted in fishing/ outdoor sport on November 27, 2015 by mimin. The section is put together to educate you on the things you need to know about freshwater fishing. It doesn’t matter how experienced you are with fishing, the information and tips below will be useful to you. We first educate you on the basic need to know information about freshwater fishing, along with some of the best tips for freshwater fishermen. At the end of this section you’ll find some safety information that every fisherman should know. Hopefully you’ll find this page educational and share it with your friends, family, co-workers and other fishermen. This entry was posted in fishing/ outdoor sport and tagged Freshwater Fishing Tips, Slip Bobber Using on November 20, 2015 by mimin. This entry was posted in fishing/ outdoor sport and tagged Choosing Hunting Lights, Maximizing Usage on July 8, 2016 by editor. This entry was posted in fishing/ outdoor sport and tagged Fishing Reel on July 3, 2016 by editor. Kayak fishing is a fun and peaceful sport you can get into for a low investment. Having no motor gives fishermen the potential of catching more fish and charting smaller areas. But having less storage space and having to paddle present new challenges. If you’re just getting into the world of kayak fishing, use the following kayak fishing tips to catch more fish while staying safe. A bright colored kayak is the best choice for safety as it is more visible. Darker colors, especially blues, can be hard to spot and can lead to accidents. When purchasing a kayak, look for the colors green, yellow, and orange. If you’re going to be kayak fishing, chances are you’re going to roll over at some point. And swimming accidents can happen even to the best swimmers. Always wear your PFD while in a kayak. This entry was posted in fishing/ outdoor sport and tagged PFD, VHF on April 1, 2016 by mimin. There is a lot of advice floating around out there about fishing for northern pike, and while some of it may be really good, a lot of the advice is aimed at experienced anglers, semi-pro anglers, or it’s rehashed information that may or may not be any different than advice you would get when starting to go after any type of fish for the first time. While this can be frustrating, don’t let it get you away from your goal of chasing down a trophy northern pike. After spending even a few weeks fighting with these ferocious fresh water game fish, you will be quite literally hooked. So if you’re waiting, don’t wait any longer. Follow these tips, get out to the water, and enjoy a great time fishing for your ideal fish. This entry was posted in fishing/ outdoor sport and tagged Pike Fishing Tip on March 22, 2016 by mimin. Fishing is a fun hobby enjoyed by many around the world. Whether you’re camping, or just out for a day trip, there are many enjoyable areas for fishing. This article will help you decide if fishing is a pastime you would like to engage in for your own enjoyment. If you are bottom fishing with shad, cut the tail of your bait off before placing it on your hook. This will keep your line from tangling by keeping bait from twisting around the fishing line on its way to the bottom. Moreover, cutting the tail releases a scent that will lure fish to it. This entry was posted in fishing/ outdoor sport on March 18, 2016 by mimin. Generally, most of our wadable trout streams run low and clear from the lack of rainfall this time of year. If you keep your eyes peeled for trout and wade with extra stealth, there’s always a good chance to sneak up and sight-fish to the biggest trout of your life. With the brown trout moving up many watersheds in preparation for the spawn, and the rainbows or cutthroats aggressively feeding to put on weight for the cold winter ahead, the fall can provide fly fisherman the best trout fishing of the year. My clients and I catch some of our biggest trout during the fall and winter by wading in close to the big trout we’ve spotted and then making precise presentations to our targets. That being said, just because you can see the trout, doesn’t mean they’re always easy to catch. Some days, the trout will make you want to pull your hair out as you painfully watch your flies ignored over and over, as they drift within inches of the trout you’re sight-fishing to. Below are six tips to help fly anglers catch more shallow water trout while sight-fishing during the fall and winter months. This entry was posted in fishing/ outdoor sport and tagged Leisenring Lift on March 10, 2016 by mimin. Tropical fishing is a great way for anglers to explore new techniques for targeting different species unique to the tropics, which is very different to fishing in freshwater lakes and rivers. There are many different types of species that live within the coral waters and are a wide range of different sizes. Whether anglers are looking to target the big game fish or the tiny baitfish fishing in tropical waters is an adventure for all. Corals and reefs draw a lot of sightseers and tourist, anglers agree fishing in tropical waters is not only great for catching a variety of species but it’s also a beautiful sight. True coral flats are formed of coral sand or marl, and can stretch for miles without the water reaching more than waist deep. Most coral flat fishing is done from flat-bottomed boats or by actually wading in the water. It’s vital to know where on the flats to find the fish and to understand their movements over the featureless coral sand. A great place to find fish is on the very edge of the flats where the shallow water ends and the deep water begins. This entry was posted in fishing/ outdoor sport on March 1, 2016 by mimin. The extent to which fish are affected by the weather has been a source of uncertainty and speculation for ages. Some elements of weather are known to have certain general affects on fish, but there is no clear scientific proof, nor is there solid evidence that all fish are affected in the same way. If anything, it may be just the opposite. Freshwater species, for example, are more adversely impacted by exceptional weather events than saltwater fish, and deep dwellers seem less affected by most weather than residents of shallow environs. Clear skies and bright sun are indicative of a high-pressure system, which often brings with it strong wind. This often follows the passage of a storm. Cloudy conditions can cause light-sensitive fish – those that especially use vision to feed – to be less active, especially in shallow freshwater environs. Some species will go deeper if the water temperature there is also favorable, like bass, or get in the shade of cover or prefer deeper cover. Yet some species, like pike, are noticeably more aggressive on sunny days than on cloudy ones. This may have more to do with their reliance on vision and thus sight feeding. This entry was posted in fishing/ outdoor sport and tagged Stable Weather on February 22, 2016 by mimin. Vertically jigging with spoons is a good way to entice not-so-active deep-water fish. You can get right over them and put the spoon right in their face repeatedly, often observing the lure and the fish simultaneously on your sonar. If you can find a deep brush pile, jig right in or over it. It may take a while, but this is a good way to get a bite. Also try using a worm, but downsize to a smaller version of what you might otherwise use. Fish a finesse worm slowly in deep water, dragging it along until you hit a rock, stump or brush. Then slow it down and work it around the cover. Go slower with anything you fish, and downsize. Choose a suspending crankbait in a small size and fish it very slowly. Crank it down and then work it with frequent pauses, letting it sit in place to make inactive fish hit. Try a suspending jerk bait in a similar manner, with infrequent twitches. Use a small spinnerbait and slow-roll it over objects, letting to drop on the near side of them. Also crawl it along the bottom. This entry was posted in fishing/ outdoor sport and tagged Go Deep, Go Slow on February 15, 2016 by mimin. Fish slowly. Bass slow down as the water cools. They are less likely to hit a fast moving bait, so slow your presentation down and give them time to eat your bait. Fish steeper banks. In-Fisherman Magazine recommends fishing banks that have at least a 30 percent drop and 45 is better. Bass like to move vertically in a short distance during the winter so bluff banks are good. Choose a bait you can keep in one place on the bottom. A jig and pig is a classic bait for cold water. Crawl it slowly along and make it stop and twitch when you bump cover. A jigging spoon moved up and down in one place works well. Slow moving crankbaits and spinnerbaits slow rolled or crawled on the bottom are also good. This entry was posted in fishing/ outdoor sport on February 8, 2016 by mimin. Check the joints for cracks and re-whip if necessary, or if you are not happy with the section, send it back to the manufacturer for a replacement (that’s if you have a lifetime guarantee) as the spigot joints might need a dressing. When dressing, I use a mixture of deer fat and candle grease, particularly on salmon rods. This works well and you don’t have the same problems as when you use candle wax alone. Clean the rings and check for damage. Replace if necessary. Wind the lines and backing off the reel onto a line winder. The winders are available from Sportfish or Carrilon UK for a small sum and are well worth the investment. Now check the connection to the line. I use an improved Albright Knot – if in doubt re-do the connection. This entry was posted in fishing/ outdoor sport and tagged LEADERS, LINES, REELS, RODS on February 1, 2016 by mimin. Like all things there is never any substitute for experience, but there are a few simple things you can look into to improve your surf fishing. The five points below provide some simple advice for improving different aspects of your surf fishing. When soaking soft baits such as pilchards / mulies for larger fish like tailor, mulloway, salmon or gummy sharks sometimes it doesn’t take long for baits to be stripped to the bone by small picking fish such as whiting or herring. Also sometimes you might find that baits are only lasting a few casts as once they’ve been in the briny for a little while they become water-logged and too soft to hold up through the action of the cast or the impact of the water. Using salted baits is one way to get around these problems. Pilchards can be salted by yourself or many places sell them pre-salted. The salting process involves putting layer upon layer of salt on the fish until most of its moisture has been removed. This results in a tougher bait that is more resistant to the wear-and-tear of surf fishing. This entry was posted in fishing/ outdoor sport on January 27, 2016 by mimin. This entry was posted in fishing/ outdoor sport and tagged Black Fury, Little Wolf, North America, Timber Doodle on January 20, 2016 by mimin. This entry was posted in fishing/ outdoor sport and tagged Springtime Fishing on January 13, 2016 by mimin. This entry was posted in fishing/ outdoor sport on January 3, 2016 by mimin. Choose the right equipment for you. The bait is the main course of fishing . 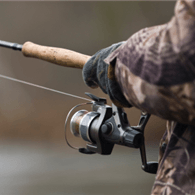 This entry was posted in fishing/ outdoor sport on December 27, 2015 by mimin. One of the reasons bass are North America’s most popular gamefish is they’re somewhat easier to catch than other species, primarily because they are so abundant. But, just because these fish can be found virtually everywhere doesn’t always mean you’ll always load the boat on every fishing trip. It’s more than just tossing out a bait and hoping there’s a hungry bass near by willing to bite; consistantly catching lunkers comes down to proper technique. Below are criticaltechniques you should master to maximize your performance and success as a bass angler. When bass aren’t all that active and are hiding in thick cover, it’s as if you have to go into stealth mode to catch those shy lunkers. The best methods for getting to shallow-water thick cover, without spooking fish too much, are pitching and flipping. These methods are similar looking techniques, but some occasions require one over the other, especially as it pertains to distance. The key to successful pitching and flipping is practice, a long rod — 6 1/2-foot to 7 1/2-foot — and the right soft-plastic bait. This entry was posted in fishing/ outdoor sport and tagged North America on December 20, 2015 by mimin. The first thing to note is that you don’t need a bazooka-like single lens reflex camera (SLR) or digital SLR (DSLR) camera to do the job. This type of camera does bring a lot of benefits with it such as rapid-fire photograph rates, the range of lenses that can be fitted and the overall quality of photos taken. But an 8 mega pixel or greater point-and-shoot camera that is used correctly will still suffice in most situations. Being familiar with a camera and its functions is something that will prove its value no end when out fishing. Knowing how to quickly turn the flash on, turn it off, find the macro setting, preview the photo just taken and replace the battery might seem like trivial things but if the bite is hot or the fish needs to be returned to the water promptly these aren’t the things you want to be playing around with. Remember you don’t always have your own camera either so a familiarisation session en-route may be required. This entry was posted in fishing/ outdoor sport and tagged SLR on December 10, 2015 by mimin.